In a moment where Ohio State desperately needed a big play, Buckeyes wide receiver K.J. Hill came through with an incredible one-handed touchdown catch, then he turned upfield for a 36-yard touchdown. Late in the second quarter, Hill reached back for a throw behind him and snatched it out of the air with one hand. If making a stunning, one-handed catch wasn’t enough, he then tucked it away and took off for the end zone for the go-ahead touchdown. Hill topped it off with the perfect celebration in the end zone, acting as if the football was glued to his hand and he couldn’t pull it off. 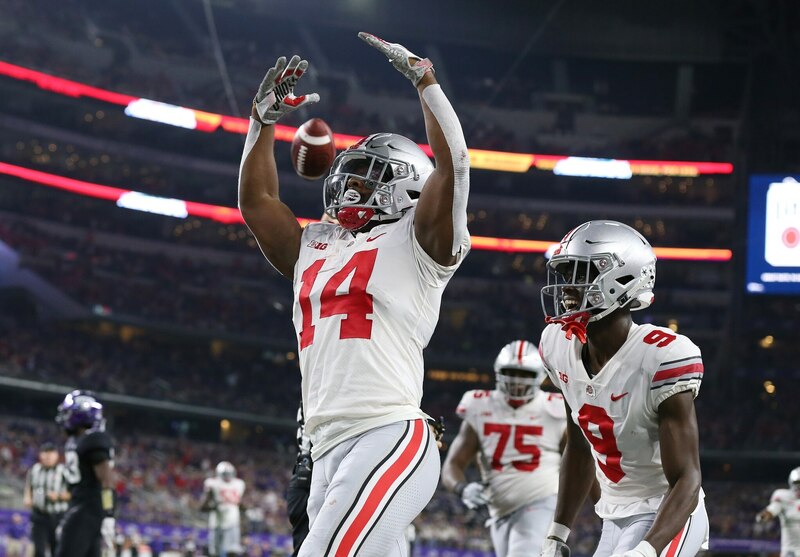 After a slow start on Saturday for Ohio State, Hill might have single-handedly woke up the Buckeyes and prevented them from a potential upset in the making.